Through tomorrow, June 30 at 23:59 hr BST (British Summer Time) you can buy British Airways Avios with a 50% bonus. I’ve never seen a onuses greater than 50% on the purchase of Avios before. The maximum amount of Avios you can buy through this promotion is 100k. With a 50% bonus, that means you can add 150k Avios to your account. Americans are being offered those Avios for 1.85 cents each, but with one simple trick, you can drop the price to about 1.37 cents per Avios! This isn’t a tiered bonus promo, so you don’t have to buy a large amount to get the 50% bonus. All amounts purchased get a 50% bonus. If you set your British Airways account address to a country that uses the euro, say Spain, you will be sold Avios in euros instead of dollars, and the euro price on this sale is way cheaper. The cost to purchase 150,000 Avios for people with an American address is $2,775 or 1.85 cents per Avios. To change your address, click “Manage my account” under Executive Club on any page. Click “Update my personal information” on the left side of the screen. Give an address in a euro-using country. After clicking Continue on the above screen, you’ll be taken to a page titled Info Sheet. Click Continue again. The next screen is Your Details. Click the Home button in the bottom right. You’ll know if you succeeded because when you go back to the Purchase Miles screen, you will be offered the Avios in euros. The cost to purchase 150,000 Avios after changing your addres is 1,800 Euros, which is about 1.37 cents per Avios (1,800 Euros is 2,053.89 USD, and 2,053.89/150,000 = .0137). If you purchase in euros make sure you use a card that doesn’t charge foreign transaction fees! Will my account be closed for having a fake address? YMMV, but Scott changed his Avios account to a French address back in 2015 without any issue. He’s never had issues with the change of address, despite having transferred transferable points and redeemed Avios many times since then (and he hasn’t changed his personal details back to a USA address since, either). Note that if you do want to change your address on file back to an American one, you’ll have to wait six months after you change it before British Airways will allow another change. The best uses of Avios are short, direct, economy flights on partners without fuel surcharges. Compare the cash price of your desired flight to what it would cost buying Avios with the current promotion to figure out which is a better deal. Those are pretty good deals. I’ve seen cheaper with cash on every route, and I’ve also seen a lot more expensive. I booked a really great deal with Avios recently: 42,500 points to fly Iberia Business Class from São Paulo to Madrid (and no fuel surcharges, thanks to departing from Brazil where they’re illegal). The bottom line with all miles sales is that they are a good deal if you have an immediate, high value use for the miles (whether that’s topping off your account or buying from scratch), and typically a bad idea otherwise as rewards are never as flexible as cash. 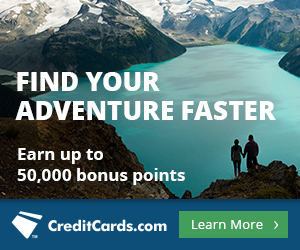 The 50% bonus on purchasing Avios ends tomorrow. Ignore the 1.88 cent price for Americans. Anyone with a euro-zone address on file with British Airways and a no-foreign-transaction-fee credit card can get the Avios for 1.37 cents each. The best deals with Avios are short, direct, economy flights on routes/airlines without fuel surcharges. That includes all domestic flights and all these flights. Sales in this case are consummated by points.com, so there is no bonus for an airline or travel purchase on your credit card. Buy the points on the card you’re meeting a minimum spending requirement or, or with the card that earns your highest value point. 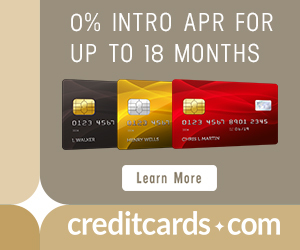 For me that card is one in the same at the moment–the Starwood Preferred Guest Credit Card from American Express. The highly versatile points which transfer to a myriad of airline partners, to me, are worth about 2.5 cents each. I changed my address once and could not change it back online. I had to call and provide some information to get it done.